Art is a conduit for the development of the self and the world. Art psychotherapy is a form of treatment, a tool for self-development and exploration. In our daily lives, we try to make plans, and sometimes we make mistakes. We would evaluate, rework and reinvent to discover something new. Art psychotherapy can be the very testing ground for us to process life, and free ourselves from the emotional baggage we carry. The session will be led by 1 to 2 professional art psychotherapists, and begin with simple sharing among participants. 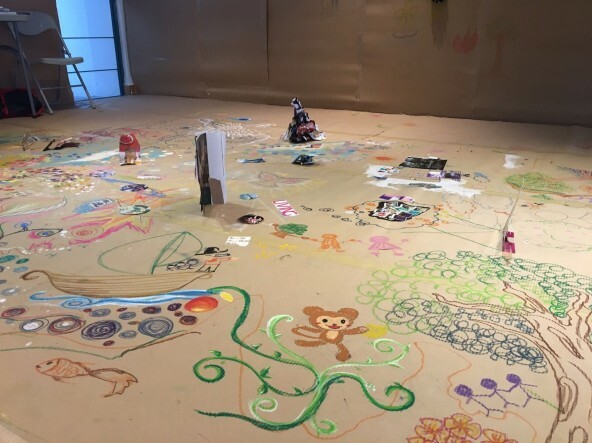 Followed by warm up exercise and art activities tailored to explore their inner worlds, participants can then proceed to interact with group members and respective therapists to talk about their personal discoveries. They will learn tips and tricks to self-care using art, followed by Q and A about art psychotherapy. Based upon the belief of the healing power of art in therapy, The Hong Kong Association of Art Therapists was established in 2002 to promote and enhance the continued development of art therapy practice, guided by ethical and professional standards. 1. Workshops are free of charge but a HKD $100 deposit is required for reservation. 2. An official confirmation email will be sent to your registered email address upon receipt of the HKD 100 deposit. 3. The deposit will be refunded ONLY to applicants who attend the corresponding workshop on the registered date. 4. Workshop will be cancelled if a black rainstorm warning or a typhoon signal no. 8 or above is still in force after 9am in the morning of the event date. In this case, the deposit will also be refunded to applicants.